Jonathan Grudin is a Principal Researcher with the Natural Interaction Group at Microsoft Research. He is also an Affiliate Professor with the Information School at the University of Washington. My new book released January 2017. I’ve examined the design, adoption, and use of group support technologies, focusing in recent years on emerging technologies in organizational contexts–social networking sites, wikis, weblogs, messaging, games. The best chance to anticipate change is to understand how we got where we are. 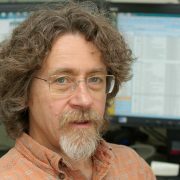 I contribute to and maintain resources on research into the history of human-computer interaction and the publication culture of computing research. In 2012, I participated in a CRA Snowbird conference panel and a Dagstuhl workshop on conference and journal processes. J. Grudin, 2017. Morgan & Claypool. I wrote this short book to provide practitioners and researchers a broad familiarity with the evolution of several fields that have contributed to HCI, their similarities and differences, and patterns over time that can help us address the opportunities, challenges, and surprises to come. Overview of research on organizational uses of IM, weblogs, wikis, and social networking sites. Robert J. Glushko, Ed. 2013. MIT Press. A monumental book, now in its fourth edition.Robert Glushko is on the faculty of the Berkeley School of Information. J. Grudin, G. Mark & J. Riedl, 2013. Communications of the ACM, 56, 1, 44-49.A survey of conference program selection across computer science, including our introduction of a revision cycle for CSCW 2012. Gloria Mark, from UC Irvine, John Riedl, from the University of Minnesota, and I were CSCW 2012 program co-chairs. J. Grudin, September 2012. ACM Interactions, 62-66. Effects of waves of technology adoption, illustrated by oscillating ties in the field of CSCW. J. Grudin & S. Poltrock, 2012. In M. Soegaard & R.F. Dam (Eds. ), Encyclopedia of human-computer interaction. Interaction-Design.org Foundation. An overview of CSCW with illustrations and links to resources, in an online encyclopedia. J. Grudin, 2011. In B. Cronin (Ed. ), Annual review of information science and technology 45, 369-430. ASIS&T. The first version of my HCI history to add the field of Information Science to human factors, management information systems, and computer science. Grudin, J. July 2010. ACM Interactions, 38-40. The content of Computer Supported Cooperative Work has changed over the years. J. Grudin, March 2010. ACM Interactions, 76-78. HCI at the beginning of the computer era; ACM scans in early proceedings. Panelists: N. Carr, J. Grudin, D. Kirsh, & J. Zittrain. 20 July 2009. SETI Institute, broadcast on NPR. A panel discussing the effects of technology on how we think. I’m the optimist. M.S. Bernstein, P. André, K. Luther, E.T. Solovey, E. Poole, S.A. Paul, A.K. Kane, & J. Grudin, 2009. ACM CHI 2009 Extended Abstracts, 3493-3494.Finally making use of the acting class taken in grad school. The video is also here. The inspired creators of this video were interns back then. J. Grudin, 2009. Interacting with Computers, 5-6, 370-374.If link is behind a paywall, the authors’ version. From a memorial issue for a pioneer who was always considerate and gracious. G. Olson & J. Grudin, March 2009. ACM Interactions, 38-40. J, Grudin, September 2008. ACM Interactions, 65-67. A fresh look at contributions of Vannevar Bush, Ivan Sutherland, and Doug Engelbart. L. Efimova & J. Grudin, 2008. In C. Lankshear & M. Knobel (Eds. ), Digital literacies, 203-226. Peter Lang.Expands the discussion of results presented in previous papers on enterprise use of blogs and IM. Lilia Efimova was an early blogger and analyst of new media. L. Efimova & J. Grudin, 2007. Proc. HICSS’07, 10 pages.Blogging was new. A company struggled to decided how to view employees whose blog posts addressed customers. If link is behind a firewall, the authors’ version. J.L. King, S. Iacono & J. Grudin, 2007. The Information Society, 23, 4, 251-256.For a memorial issue, the evolution of our former colleague’s views. John King, now at Michigan, Suzanne Iacono, now a manager at NSF, and I were UCI colleagues of Rob Kling. J. Grudin, 2007. ACM Interactions, 14, 3, 52-53. J. Grudin, 2007. ACM Interactions, 14, 3, 5-7. An observation that publishers’ policies and practices were not keeping up with technology change. J. Grudin, March 2007. ACM Interactions, 48-52. Gazing into a crystal ball. J. Grudin, November 2006. ACM Interactions, 50-53. How we continually underestimate the impact of Moore’s Law and associated legislation. J. Grudin, September 2006. ACM Interactions, 54-57. The relationship of AI and HCI, elaborated in an AI Magazine essay. J. Grudin, July 2006. ACM Interactions, 54-57. The parent organization of ACM and IEEE, and the disease that killed it. J. Grudin, May 2006. ACM Interactions, 58-61. How did the once-massive minicomputer industry disappear? Grudin, J., March 2006. ACM Interactions, 45-47 & 55. For my first history column, as a test, I wanted to see if I could say something new about a field I’m not in. L. Efimova & J. Grudin, 2006. Inside Knowledge, 10, 4, 4-27.Overview for a professional magazine. Authors’ version. J. Grudin, January 2006. ACM Interactions, 54-59. This invited article, based on my 2005 Annals of the History of Computing paper, led to the Timelines series of columns, most written by other authors. J. Grudin, 2006. Proc. HICSS’06, 10 pages. How tagging, simple blogging, and search could combat chronic KM problems. If link is behind a paywall, the author’s version. J. Grudin, 2006. In P. Zhang & D. Galletta (Eds. ), HCI in MIS (I): Foundations, 402-421. Sharpe. AIS SIGHCI was forming as I was starting to explore MIS HCI history. This was incorporated into later treatments. J. Grudin, 2005. IEEE Annals of the History of Computing, 27, 4, 46-62. If link is behind a paywall, the author’s version. My first full-length article, building on a 2004 encyclopedia article, prior to incorporating library and information science. J. Grudin, 2005. In K. Okada, T. Hoshi & T. Inoue (Eds. ), Communication and collaboration support systems, 13-23. Ohmsha. An overview of CSCW perspectives, recognizing that the information tsunami was just beginning. Anne, Carolyn, and Evan were Microsoft colleagues. S. Poltrock & J. Grudin, 2005. Proc. HICSS’05, 10 pages. If link is behind a paywall, the authors’ version. Subtle issues that slowed video adoption. We expressed optimism that was borne out, though progress remained uneven. J. Grudin & M.L. Markus, 2004. In A.B. Tucker (Ed. ), Computer science handbook, 2nd edition, chapter 44. CRC. Reprinted from the 1997 first edition, my first effort to think organizationally on a broad scale.M. Lynne Markus is at Bentley University. Y. Rui, A. Gupta, J. Grudin & L. He, 2004. Multimedia Systems, 10, 1, 3-15. This system came to be used internally for presentation capture for a time.Yong Rui, Anoop Gupta, and Li-wei He were colleagues at Microsoft Research. J. Grudin, 2004. In W.S. Bainbridge (Ed. ), Berkshire encyclopedia of human-computer interaction, 316-326. Berkshire. Seeking to understand the CHI-human factors gap, I came to feel that the discretion (or lack of it) in use was at the heart of it. D. Bargeron & J. Grudin, 2004. Proc. HICSS 2004. Reviewers loved early papers that emphasized the promise of this technology, but it was more difficult to publish the challenges that eventually stopped the research. The full story is published in Grudin & Bargeron 2005. J. Grudin, 2003. Scandinavian Journal of Information Systems, 15,73-77. Not about the TV show, this makes a case for linking personas to participatory design. Y. Rui, A. Gupta, J. Grudin & L. He, 2003. Videography for telepresentations. Proc. CHI 2003, 457-464. More complete study published in Multimedia Systems. J. Grudin, 2003. CHI 2003 Extended Abstracts, 930-931. Once upon a time, managers were not hands-on computer users. Now most are. The change facilitates some things and creates new challenges. Tracey Lovejoy is an ethnographer. J. Grudin & J. Pruitt, 2002. Proc. PDC 2002, 144-161.This focuses more on rationale, less on practice than ourDUX 2003 paper and subsequent book chapter. D. Bargeron, J. Grudin, A. Gupta, E. Sanocki, F. Li & S. LeeTiernan, 2002. Journal of MIS, 18, 4, 117-145. Synthesizes work from several earlier papers.Liz Sanocki is a UX designer and lecturer, Francis Li an interaction designer/software engineer. J. Grudin, 2002. Communications of the ACM, 45, 12, 74-78. An essay covering social and cognitive aspects of information visibility. A.J.B. Brush, D. Bargeron, A. Gupta & J. Grudin, 2002. Proc. CHI 2002, 89-96. Shared text annotation in support of development and test teams. J. Grudin, 2001. Proc. CHI 2001, 458-465. These issues loom larger as displays grow and information streams proliferate. D. Bargeron, A. Gupta, J. Grudin, E. Sanocki & F. Li, 2001. Proc. HICSS 34. Authors’ version. This paper on the MRAS system was extended in the 2002 Journal of MIS article. J. Grudin, 2001. Human-Computer Interaction, 16, 2-4, 269-286. If link is behind a paywall, the author’s version.This invited commentary on a published article was an early approach to what the key issue affecting the uses of digital media, IMO. G. Fischer, J. Grudin, R. McCall, J. Ostwald, D. Redmiles, B. Reeves & F. Shipman, 2001. In G.M. Olson, T.W. Malone & J.B. Smith (Eds. ), Coordination theory and collaboration technology, 447-472. CRC. A review of an ambitious embedded knowledge project that eventually collided with the Web.With Gerhard Fischer’s talented group at Colorado. J. Grudin, 2000. In G. Hatano, N. Okada & H. Tanabe (Eds. ), Affective minds, 159-167. Elsevier. A book in honor of Masanao Toda, author of the wonderful ‘fungus-eater’ and other essays. G. Jancke, J. Grudin & A. Gupta, 2000. Proc. CHI 2000, 384-391. Used successfully in Microsoft Research’s large lecture room. L. He, J. Grudin & A. Gupta, 2000. Proc. CSCW 2000, 127-134.An earlier CHI’99 short paper version: He, Gupta, White & Grudin, Design lessons from deployment of on-demand video. An analysis of years of data from internal training video use that provided insights into how to organize presentation material. L. He, E. Sanocki, A. Gupta & J. Grudin, 2000. Proc. CHI 2000, 177-184. Contrasts four approaches to delivering lecture summaries. S. A. White, A. Gupta, J. Grudin, H. Chesley, G. Kimberly & E. Sanocki, 2000. Proc. HICSS 2000.If the link takes you to a paywall, the authors’ version. A remote lecture support tool evolved through use in internal training courses. L. He, E. Sanocki, A. Gupta & J. Grudin, 1999. Proc. MultiMedia 99, 489-498. Automation of video highlight extraction. This complements the 1999 time-compression paper below. G. Mark, J. Grudin & S. E. Poltrock, 1999. Proc. ECSCW’99, 159-178. Case study of successful desktop conferencing adoption in the 1990s. Gloria Mark is on the faculty of UC Irvine, Steve Poltrock and I have long collaborated. J. Grudin, 1999. In Y. Matsushita (Ed. ), Designing Communication and collaboration support systems, 1-15. Taylor & Francis. Five years after early surveys, an update. J. Grudin & S.E. Poltrock, 1999. In J. G. Webster (Ed. ), Encyclopedia of electrical and electronics engineering, vol. 8, 512-523. Wiley. An encyclopedia article mostly distilled from our 1997 survey. J. Grudin, 1999. IEEE Intelligent Systems, 14, 1, 8-9. The complexity of the effects of awareness and visibility discussed here are still under-appreciated. L. He, A. Gupta, S. White & J. Grudin, 1999. CHI 99 Extended Abstracts, 276-277. For a more complete account see He, Grudin & Gupta (2000), Designing presentations for on-demand viewing. D. Bargeron, A. Gupta, J. Grudin & E. Sanocki, 1999. CHI 99 Extended Abstracts, 278-279. S. A. White, A. Gupta, J. Grudin, H. Chesley, G. Kimberly & E. Sanocki, 1999. CHI 99 Extended Abstracts, 274-275. More complete version, same title, published in 2000 (above). J. Grudin & S.E. Poltrock, 1997. In M. Zelkowitz (Ed. ), Advances in Computers Vol. 45, 269-320, 1997. Academic Press. D.R. Gentner & J. Grudin, 1996. IEEE Computer, 29, 6, 28-35.If the link takes you to a paywall, the authors’ version. The evolution of technologies digital and non-digital.Don Gentner was a friend and collaborator from my first months in graduate school until he died in 2005. J. Grudin, 1996. In T. Moran & J. Carroll (Eds. ), Design rationale: concepts, techniques, and use, 453-470. Erlbaum. Adds a fourth development context to those in my 1991 Computer article. R.M. Baecker, J. Grudin, W.A.S. Buxton & S. Greenberg (Eds. ), 1995. Morgan Kaufmann. Writing topic overviews consumed years and several journal article equivalents of analysis and insight.Two of these Canadian luminaries tired of my requests that they update their previous edition and invited me to join them. S.E. Poltrock & J. Grudin, 1994. ACM Transactions on Computer-Human Interaction, 1, 1, 52-80. My first large-scale qualitative study. Some of the anguished remarks that we quoted could be heard today. J. Grudin, 1993 Communications of the ACM, 36, 1, 102-111. Unintended consequences of terminology choices. J. Grudin, 1992. ACM Transactions on Information Systems, 10, 1, 1164-1173. A misleading description of my 1989 consistency case led me to further develop it. J. Grudin, 1990. In B. Laurel (Ed. ), The art of human-computer interface design, 171-185. Addison Wesley.Reprinted in R. Baecker (Ed. ), Readings in groupware and computer supported cooperative work. Morgan Kaufmann, 1995. A concise account of challenges and a cautious forecast. The only article I’ve revisited without wanting to wordsmith. Further reading: Successful adoption, 2002 paper with Leysia Palen. Observations on Finishing a Book — January 2017. Thailand: Augmented Immersion September 2016. The Joy of Procrastination July 2016. Technology and Liberty April 2016. Wrong about MOOCs January 2016. Technology and Nature October 2015. Action and Research September 2015. Customers vs. Users June 2015. Digital Divides Considered Harmless March 2015. The Future of Work February 2015. The Rise of Incompetence December 2014. Uses of Ink October 2014. Diversity and Survival August 2014. Visual Design’s Trajectory July 2014. True Digital Natives April 2014. Swarms and Tribes March 2014. The Decline of Discussion January 2014. Engineering in Reverse December 2013. Finding Protected Places October 2013. Artifact Invention and Research September 2013. When A/B Testing Gets an F June 2013. A Slow Triangulation May 2013. A Perfect Storm April 2013. Couch Potato U. March 2013. No Place for Hobbits February 2013. Wrong about MOOCs? January 2013.